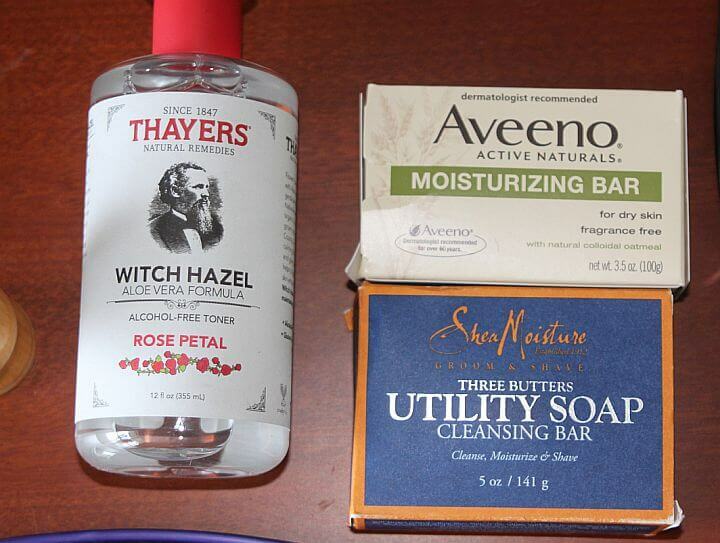 As some of our readers might already know, I’m a huge fan of witch hazel. It has helped me tame my vicious razor burn problems that would drive me mad before that. Now, the best bay rum aftershaves actually contain witch hazel too. They basically serve the same purpose – splash a bit of an astringent to cool your skin post-shave, and prevent any irritation. But if I’m to be objective, the manly, eclectic aroma of a good quality bay rum aftershave for men goes well beyond any scented witch hazel. 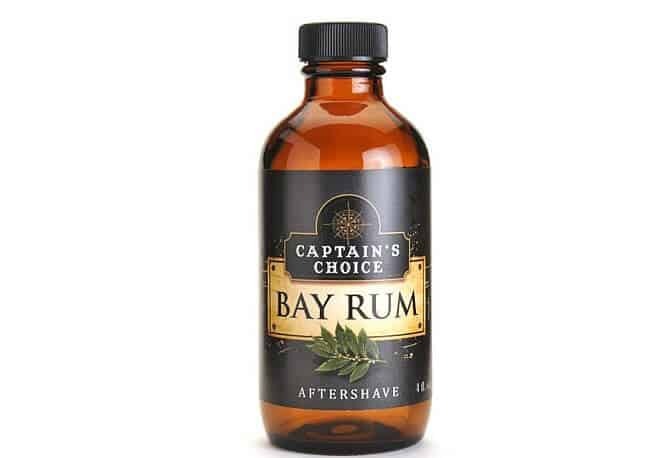 To me, half the point of using an aftershave is for that classic barbershop scent that can only come from best bay rum aftershaves. Here’s my problem: with the years, my face decided it doesn’t like getting alcohol splashed on it. Numerous other men, however, have no such issue. If you’re one of them, go ahead. Draw the manly, fragrant benefits of the best bay rum aftershaves! If you have bad blood with astringents that include alcohol, however, stick to clean witch hazel or similar lotions. That’s why I used quotation marks in the title, actually. “Best” is a relative term. 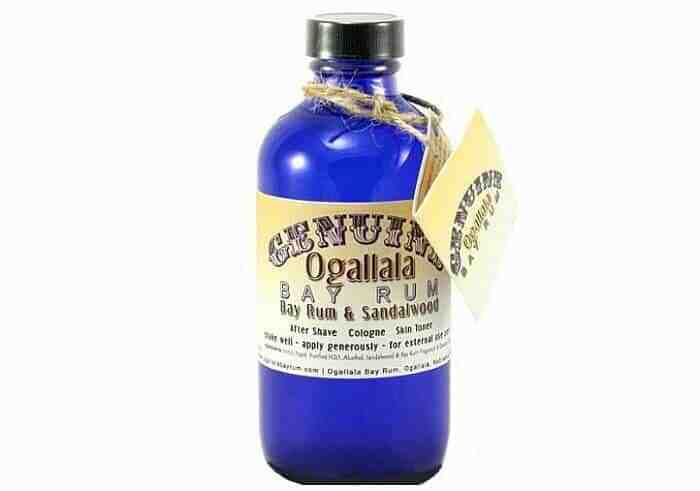 Ogallala is, hands down, the best thing ever in the bay rum aftershave world. One of the reasons, obviously, is the outstanding quality of their products. Packed in a 8 oz vintage looking bottle, they give a manly, yet not too overbearing scent. Both the old-fashioned bottle and the smell will transport you on a quick trip to an barbershop from ye ole’ times. If you’re a fan of more refreshing, summer scents, try their Limes and Peppercorn bay rum on Amazon.com aftershave. It’s a bit bolder in terms of smell, with some fruity notes – not sweet, but full on citrus-powered! Run away from the scorching summer days and dive right into a blissful feeling of total invigoration! Note: Be careful with the Double Strength Ogallala. For me, it ruined the manly balance bay rum aftershaves usually exhibit. It narrows on being too strong, too overbearing and while it certainly cools your skin, it can be too aggressive for people’s noses. A little definitely goes a long way, so it isn’t like you need to bath in it to get the full effect. Put a little bit in the palm of your hand and rub between your palms. Then rub it on your fast. You don’t need to splash it on like you see in the commercials. Witch hazel usually has some more neutral tones, but for some reason I love its aroma. Captain’s Choice is a bay rum aftershave that bridges slight spiciness with a stronger witch hazel scent. That’s right: it’s the glycerin. Glycerin helps a bit more with moisturizing, so Captain’s Choice will perform a bit better in this regard. Aftershaves have become less popular compared to aftershave balms or creams. Mainly because they also help moisturize. So, it comes as a nice bonus to be able to use best bay rum aftershaves and still get the moisturizing benefit of a balm. As I mentioned, you’re getting a tang of spiciness here. This product is also cooler than the sandalwood Ogallala – it might sting just a little when applied. The Captain of bay rum splashes trades the stronger witch hazel scent for a subdued aroma of the essential oils included in it. So, if you’re leaning more towards the classic bay rum scent with oil fragrances, it might be a bit too weak for you. We’re used to have more woody, earthy notes in colognes or, sometimes – in whiskey, the nectar of Gods. Clubman Pinaud has this woodsy scent to it, which is an absolute hit once it mixes with the bay rum aroma. Add a hint of spiciness – more subdued than the Captain, I feel, and you’re in heaven. This combination comes at a small price: the “bite” once you apply it. If you don’t like astringents stinging your skin a bit, the Pinaud won’t be your perfect fit. However, I’ve yet to meet a man who minded a little bit of a “kick” after a darn good shave. As the bay rum cherry on top, the Pinaud lasts long enough to make an impression. This could be my limited experience, but from all of the bay rum splashes, the Pinaud has lasted me the longest. The catch? You’ve got some synthetics here, as well as coloring agents. I’m not sure how much of a fan you are of organic aftershaves, but the Pinaud isn’t one. Pinaud comes from a time when men were not concerned about the kind of ingredients their cosmetics had. Also one of the selling points of Pinaud is its consistently low price. Unfortunately, to maintain the budget friendliness, that means it has to use some synthetics. But, there is simply no substitute for how classic their scents are that can take you back in time to sitting on your Grandpa’s lap. Keep this in mind if you have allergies/extra sensitive skin, and stick to the previous choices! Can I use bay rum aftershave as a cologne too? That wouldn’t work that well. Most bay rum splashes are designed to be pure aftershaves that calm your skin and linger for some minutes. Their scent can be rich and pleasant, but it’ll diffuse into thin air after a short while. You’d do better if you stuck to traditional colognes for men. See, the thing is, there is not much oil in an aftershave. In fact, really none at all. So they evaporate quickly. Yes, they are supposed to smell nice, but the point is as a skin toner and disinfectant. Their main purpose is to clean the skin after a shave in case the razor spread any bacteria around the face. Plus, to tighten up the skin which makes the shave even smoother. A cologne has one purpose only. To make you smell nice. So, the ingredients are there to help that and as a result the scent lasts a lot longer. That said, Ogallala actually have a designated Cologne Bay Rum on Amazon.com variety. It might be worth a shot, though I haven’t tried it out yet. 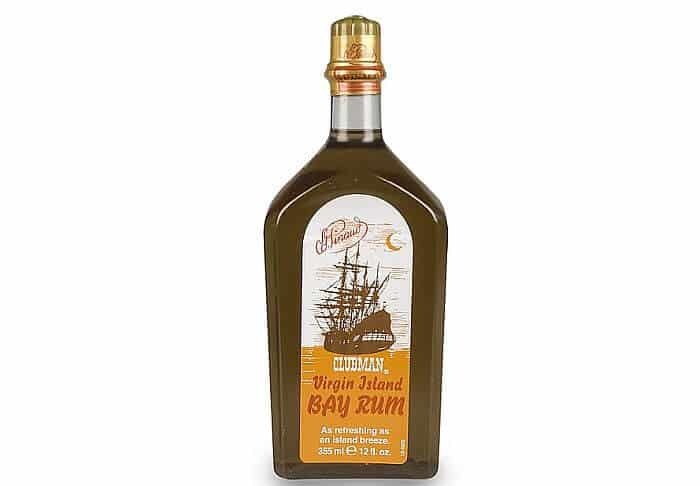 I get a little nostalgic when talking about the best bay rum aftershaves. They really represent what a barbershop is and how attached to the notion I am along with so many others. Smells are so important to memories and there is nothing like being taken back to a place or time simply be smelling an old school aftershave or cologne. Forgive me for waxing too nostalgic over this, but there are certain products that go beyond what they are supposed to do. And aftershave is definitely one of those things. There are a lot of ways to achieve the same toning and disinfecting procedure. I mentioned Witch Hazel earlier. You could easily save some money and just use that and get the same results. But, to me, why not use something that gives so much more satisfaction? If you can handle the burn, then it is worth it to make an experience out of it instead of just go through the motions. Do you have any stories about your father’s or grandfather’s aftershave? Any cool memories of going to an old school barbershop that you want to share? Or, do you need more information than I provided here? Either way, let us know but adding a comment in the box below.